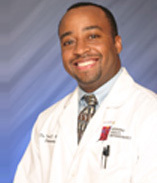 Dr. Derek E. Brown offers many orthodontic procedures to residents of Hyattsville, Maryland. An orthodontist specializes in creating a smile that is free of irregularities. Common irregularities include alignment problems (such as an overbite or underbite), gaps between the teeth, or crowding due to adult teeth coming in before baby teeth have had a chance to fall out. Braces are the most common form of treatment used in orthodontics, but developments in the field have led to a wider range of treatment options. These include clear braces or removable appliances for mild cases. After orthodontic treatment is completed, patients may need to wear a retainer for at least 24 months to ensure that their teeth will not shift back to their original positions. Depending on the severity of the problem, orthognathic surgery may be required. This involves placing screws and plates in the jaw to align it properly. At Winning Smiles Orthodontics, our staff is well-trained in using the latest technology to determine the best treatment option for your particular situation. Our team is headed by Dr. Derek E. Brown, one of the most respected orthodontists in the Hyattsville, Maryland area. A trip to Winning Smiles is a good step toward getting the smile you’ve always wanted.